The Colosseum is known as one of the amazing mega-stuctures ever built. The impressive display of majesty and the magnificent mark it left in history makes it a one- of- a kind man-made infrastructure in the world. Do you want to know why? 1. 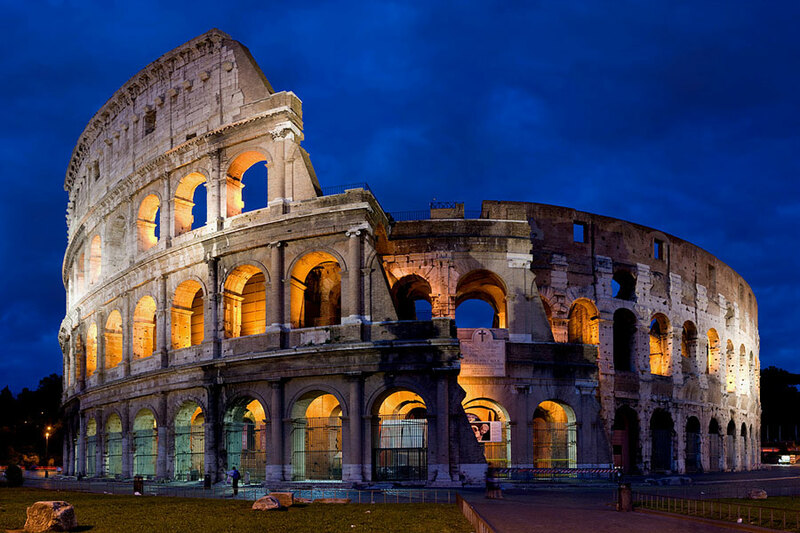 The Colosseum was originally called the Flavian Amphitheatre from its original name Amphitheatrum Flavium. The name is derived from the combination of two royal families: Vespasian and Titus. 2. It is considered as one of the finest works of Rome and is known as a symbol of Roman pride in architecture and engineering. 3. This amazing Colosseum is the largest Amphitheatre built by the Roman Empire. 4. Its construction started in 72 AD during the reign of Emperor Vespasian and was completed in 80 AD under the emperor’s successor, Titus. Until now, it has been standing for 1,931 years. 5. It was used for Roman entertainment such as the battles between gladiators, mock sea battles, animal hunts, and ruthless executions. It was also used as a stage for reliving well-known battles and dramas of Classical mythology. 6. The Colosseum had a maximum capacity of 50,000 spectators during gladiator contests and other public spectacles. Some modern estimates suggest that it can accommodate up to 87,000 people. 7. In the 21st century, the Colosseum stands as a symbol of Imperial Rome. It is the most popular and highly visited tourist attraction in Rome. During Good Friday, this amazing structure serves as a starting point for the “Way of the Cross” procession where the Pope leads with a torch lighting ceremony. 8. The image of the Colosseum can be seen in Italy’s five-cent euro coin. 9. It covers an area of six acres with the building structure itself at 615 feet long (189m) and 510 feet (156m) wide. 10. The measurements of the outer wall, perimeter and central arena are as follows: its outer wall measures 48 meters (157 ft. / 165 Roman feet), it has a perimeter of 545 meters (1,788 ft. / 1,835 Roman feet), and a central arena which has an oval measurement of 87 m (287 ft.) long and 55 m (180 ft.) wide, surrounded by a wall which measures 5 m (15 ft.) high. 11. The outer wall is mainly composed of travertine, a limestone deposited by hot springs. It needed an estimated amount of 100,000 cubic meters / 131,000 cu yard of travertine. 12. Due to the changes in climate, migration of birds, blooming of flowers, and the growth of Rome caused the growth of 684 species of plants during its peak, but now, the latest count has dwindled down to 200. 13. The Amphitheatre has been featured in numerous films and popular culture such as the Roman Holiday (1953 film), Demetrius and the Gladiators (1954 film), 20 Million Miles to Earth (1957 film), Bruce Lee and Chuck Norris’s Way of the Dragon (1972 film) and Ridley Scott’s Gladiator (2000 film). 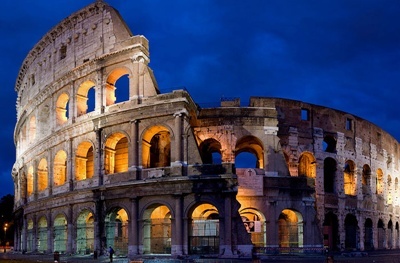 These amazing facts about the Colosseum give it a well deserved notoriety. Time has passed, but the Colosseum’s identifiable prominence, impressive majesty, and interesting history still remain. A trip to Rome will not be complete without paying a visit to this ancient yet amazing landmark. THank you solo much, in history class we put together a project of any kind about Rome or Greece and me and my arch enemy picked the Colosseum, same as me. I went after her and corrected many facts that she had wrong and told these facts, and my History teacher gave me a 100!!!!! thank you so much , i had a presentation due & these facts helped me out so much .. This is really good, maybe I could use it for a project in Social Studies. Thanks for your time and effort into this.